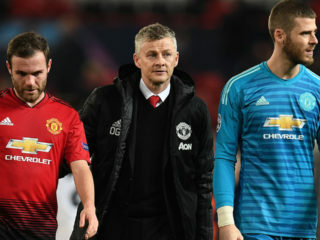 Manchester United’s victory against Tottenham is a statement win for Ole Gunnar Solskjaer but the team’s reliance on David de Gea’s heroics in goal show the interim boss still has work to do. Solskjaer had won all five of his games as interim United boss before Sunday’s Premier League match at Wembley, seen as the first major test of his reign. The Norwegian got his tactics spot on in the first half of a match billed as a face-off between the two favourites for the full-time job at Old Trafford, with Mauricio Pochettino in the opposition dugout. Spurs dominated possession in the opening minutes but United’s fleet-footed trio of Marcus Rashford, Anthony Martial and Jesse Lingard looked to counter-attack at every opportunity. The approach paid off just before half-time when the impressive Paul Pogba delivered a raking cross-field ball for Rashford to run onto and the England man drove the ball emphatically past Hugo Lloris, leading to wild scenes of celebration on the bench. But the second half was a different story as Spurs came forward in relentless waves, only to find De Gea in unbeatable form. Former United defender Gary Neville hailed the impact his former Old Trafford teammate Solskjaer has had since he replaced the sacked Jose Mourinho last month. “Ole Gunnar Solskjaer is picking the profile of player Manchester United need and that’s players who have the energy to get from box to box quickly and counter-attack with quality,” the Sky Sports pundit said on his podcast. The hard-fought victory at Wembley certainly boosts Solskjaer’s chances of staying at Old Trafford beyond the end of this season and some British bookmakers now make him the favourite ahead of Pochettino. The Norwegian has done little wrong since he took over an unhappy club from Mourinho, reinvigorating Pogba and Rashford and tightening a leaky defence — the clean sheet against Spurs was just United’s fourth of the Premier League campaign. 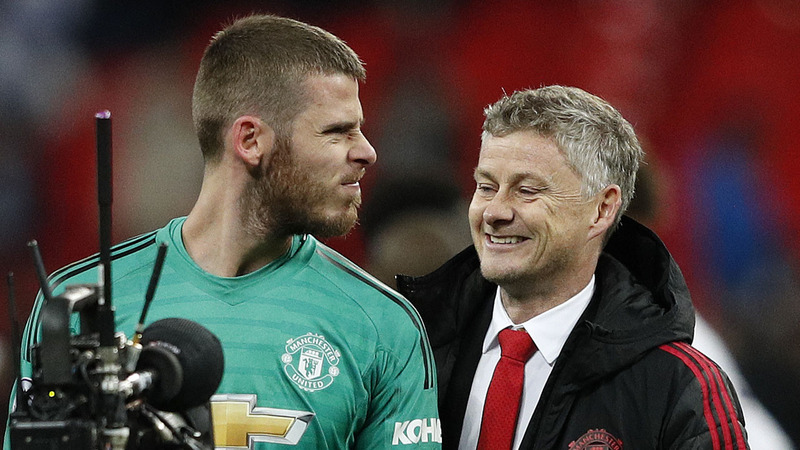 Solskjaer hailed De Gea as “the best goalkeeper in the world” after the Spaniard’s 11 saves and praised his defence but he acknowledged it was tough going after the break. 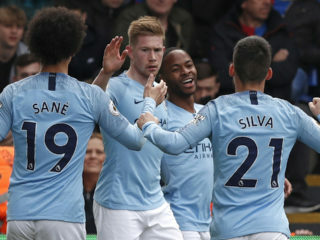 The former United striker will not be happy at how many times the Spurs attack breached his defence and found themselves with only De Gea standing in their way. Result aside, the Wembley match also showed Pochettino at his best, with his rejigged side cutting through United’s backline at will in the second half. 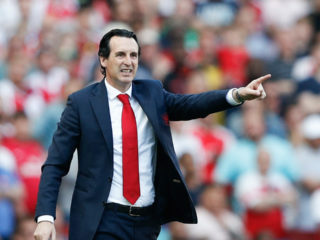 United are now level on points with fifth-placed Arsenal after trailing them by eight points when Solskjaer replaced Mourinho on December 19 and their bid to qualify for next season’s Champions League is gathering pace. Spurs remain in third place, nine points behind leaders Liverpool. But Neville is warning the United hierarchy not to get carried away by one result. “It’s such a huge win for Ole Gunnar Solskjaer and this group of Manchester United players,” he said. “It feels like a million miles away from where this club was a month ago.